The Malaysia Independence Day also known as Independence Day is celebrated on 31st August every year. Malaysia is so unique. Built in harmony amidst the difference in culture and religion. This is the spirit of “sehati sejiwa” that we want to instill in every citizen of Malaysia. It is common to see an indian, chinese and Malays would play and sit together by putting aside their differences. Be happy and grateful that we are Malaysian citizen. No other country like us. Lets be one. One Malaysia as in one heart. 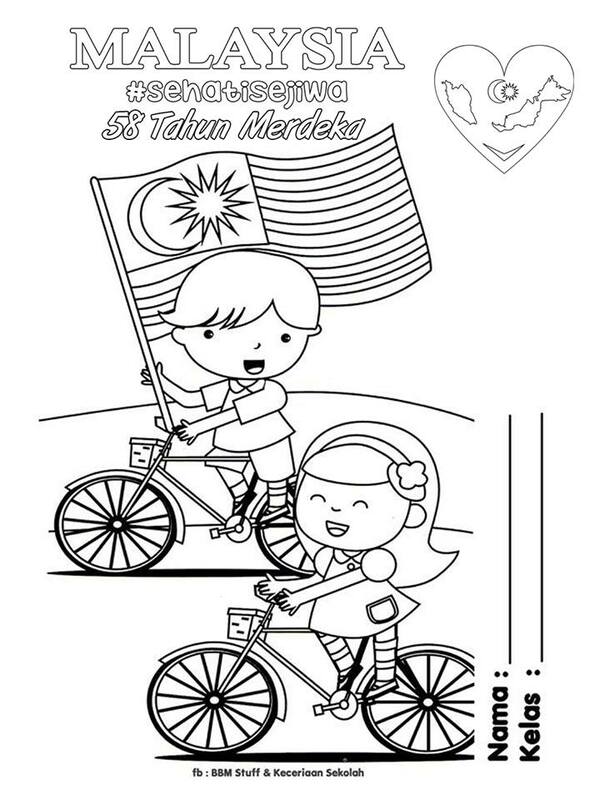 Picolour.com provides a link to download The Malaysia National Day With Multiracial Spirit Colouring Page. To download please follow the steps provided. Hopefully this sharing will benefit all of you. If you are interested in getting more colouring pages on various celebrations and festivals around the world, you can find it here. Top 24 Most Famous Celebration Colouring Pages.